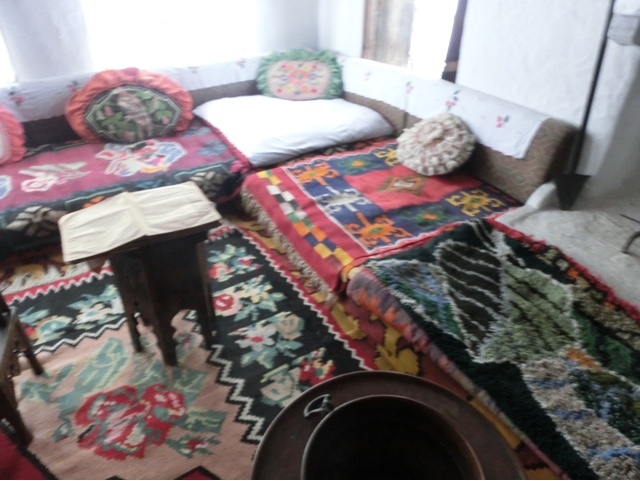 I fond Mostar fascinating and although there were lots of tourists, it wasn't anywhere near as bad as Dubrovnik. You could actually move through the streets and the tourist shops seemed much more interesting. 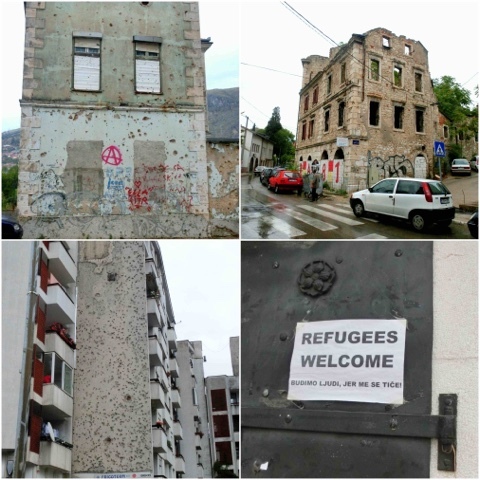 The story of the fighting in Mostar is very sad and very complicated, there are damaged and abandoned houses everywhere. They have rebuilt the beautiful old bridge which is the star of the town. 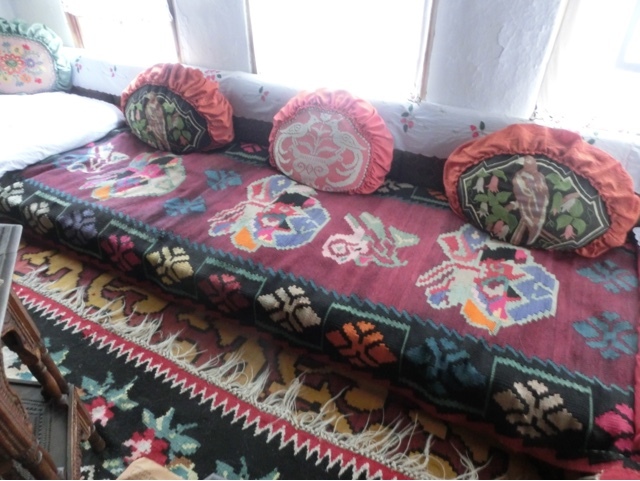 Embroideries and woven rugs in the Turkish house in Mostar. 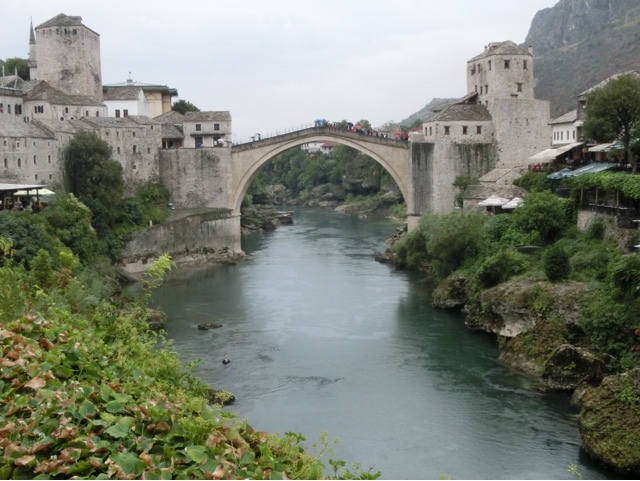 The beautiful bridge in Mostar. 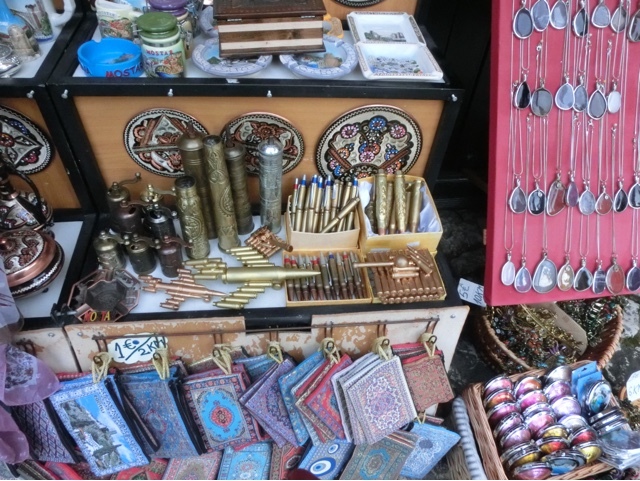 Souvenir 'Turkish ' patterned purses and pens made from old shell cases.